HomeApartment LivingWould Your Apartment Walls Stop a Bullet? A couple of weeks ago a friend of mine we shall call Jim sent me a text message he had to leave his apartment in a hurry as he heard about ten gunshots in quick succession from the apartment building behind his complex. He thought they sounded like 9mm gunshots. Jim lives a few blocks away from me, in a street that is dotted with large apartment complexes. He called 9-1-1 and reported the gunshots. He then left as quickly as possible through another exit away from the sounds and went as far away as he could. He saw around 10 police cars driving up and they set up some barricades around the building. An officer with a bullhorn yelled “Come out with your hands up” Jim returned to his unit after everything cleared up. He told me the whole experience left him shaken up as he was thinking bullets would come through either the walls or the ceiling. Later, Mr. Apartment Prepper and I were discussing the incident. Mr. Apt Prepper said Jim did the right thing in that particular situation, by leaving as quickly as possible and heading as far away as he could, as walls will not protect you from bullets. Do not believe what you see on TV or the movies where the actors hide behind window sills or couches during a gunfight. Most apartment walls are made of sheetrock or drywall, with insulation in the middle. Drywall will not stop any bullets, even small ones like .22. I came across a site called The Box O’ Truth where they tested ammo penetration. One of the results showed a 9 mm will penetrate eight boards of pinewood 3/4 inch thick. Most walls are about as thick as three boards. Generally, a 9 mm bullet has a range of about a mile (I know it varies according to weapon, accuracy etc. but this in general terms), so bullets flying from the building behind were just too close. In Jim’s situation, he did not feel safe even going into an interior room as bullets being shot up in the air can penetrate through the ceiling. If you are interested in what types of materials can stop a bullet, watch Demolition Ranch on YouTube. Mr. Apartment Prepper got me started watching this channel. It’s entertaining but really shows how far bullets from various types of guns can travel against various types of materials. Unfortunately, materials that can stop a bullet are not readily found inside most apartment units. The incident in Jim’s neighborhood had a happy ending as no one got hurt. The suspect eventually did come out with his hands up. The story never made the news but he found out from the maintenance man that it had been a drug deal, by one of the tenants in the back building, that had gone bad. As a result of this story, we determined our own possible exits in case this happens close to us: we walked around our complex looking for ways out and actually found one we had not known about. You may live in a building where “nothing like this ever happens.” We’ve heard gunshots nearby and know there have been shots fired nearby. Each situation is different and you will need to make a quick assessment to determine your next move. Best be prepared: Get to know all the possible exits in your building as well as your complex. Have a plan just in case. 17 Comments on Would Your Apartment Walls Stop a Bullet? Yes I know that they say a 9mm will travel a mile, but bring a pistol to a range & try shooting 50 yds or 100 yds. The bullet will drop very much & if you don’t raise the pistol way above the target it will hit dirt. What floor was this person on ? What would’ve happened if the bad guys were shooting from a moving car ? running out to the street may make him a target for the next volley of shots, thats if they are driving & shooting. Just some ideas, no dis to anyone. He was on the first floor of his building, and the shooting was from a unit in the apt building behind him. How many inches thick do the sandbags, cement and metal need to be to stop most bullets? I would like to secure one room in my house from bullets. In my neighborhood it would be safer than leaving when one hears shots fired. K Johnston, I am working on another article regarding securing a room so I am researching that right now. Thanks for the comment. In my opinion, none of us live in a building where “nothing like that ever happens.” You never know what your neighbors are capable of until you hear guns going off. I think I’d have thrown myself flat and CRAWLED out of my apartment — hoping none of the bullets came in at ground level — and taken off in the opposite direction, too. Hey Donna, He had not thought this would happen in his area. He was pretty shaken up by the experience. One of those stories that make one think about what to do in a similar situation. Thanks for the comment! I’ve been in a prepping low. I have been unmotivated and uninterested in prepping topics. Maybe it is because I’ve been strapped for cash, maybe it’s because I’ve picked up a new hobbie (quiliting which is a little prepardness oriented) Anyway, this article and your previous one were interesting and thought provoking. Thank you. Now here is my one or two cents. You mention that 13 inches of phone books will stop a bullet. Well exterior wall, interior wall, book shelf and books will stop a few rounds, provide they aren’t high powered rifle. I would recommend for most apartment dwellers, not first floor folks, to hunker down in place and be armed. For a bullet to penetrate an upper level room from outside it would have to travel upwards and through several layers, to get to an interior room. This would slow it down considerably. There are balistic rating charts online for sand and it is impressive. Sandbags and a source for filling them should be a part of prepardness planning. Also balistic vests are available used. I have several different styles and did have some for work. How exciting you picked up a new hobby! I’ve been meaning to take it up but have not got around to it. Time is just so limited. So I impressed you have succeeded in taking it up. We all go through these low phases, but eventually get back in. thanks for the great suggestions. A ballistic plastic, such as Lexan, can be used to line the walls of a closet or small room to give some protection from penetration. I have it on the inside of my entry doors. 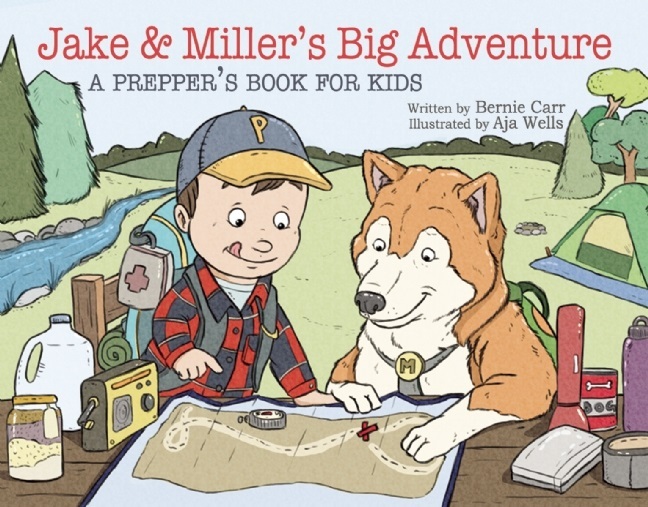 aptprepper- Just curious to why you pulled my comment down? 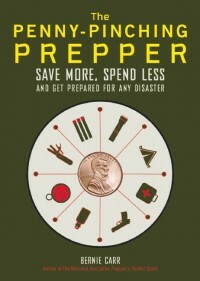 I am a prepper and a Alex Jones, Ron Paul, etc supporter. Did you have an issue with my comment?? Constitution, this is the first time your comment has appeared. The story clearly shows someone over recating by going outside when bullets are flying around. Staying inside regardless of how thin the walls are will provide more protection than outside. So I gave my opinion and you pull comments? Is that how you run this blog? Constitution, He waited until the gun shots subsided and ran out in the opposite direction. He may have felt this was the safest move at the time. Thanks for the comment. Running after a shooting event is not a good idea. This makes it look like you were involved. After the event you should clear the area at brisk walk but not running. I think there was no one around when he ran out, but that is a good point to remember, walk briskly and not run. Thanks! It depends on what is shot! A 30-06 or a 12 gauge shotgun slug would go through three or more refrigerator or two cars! So, other than stone walls?????? Hey Bruce, Our point exactly! We cannot expect apartment walls to stop a bullet, unlike in the movies. Thanks for the comment.